Béchamel sauce is, perhaps, one of the most comforting. It, therefore, seemed only right that it was the sauce chosen to envelope my beautifully light, but heartwarming pillows of homemade gnocchi. 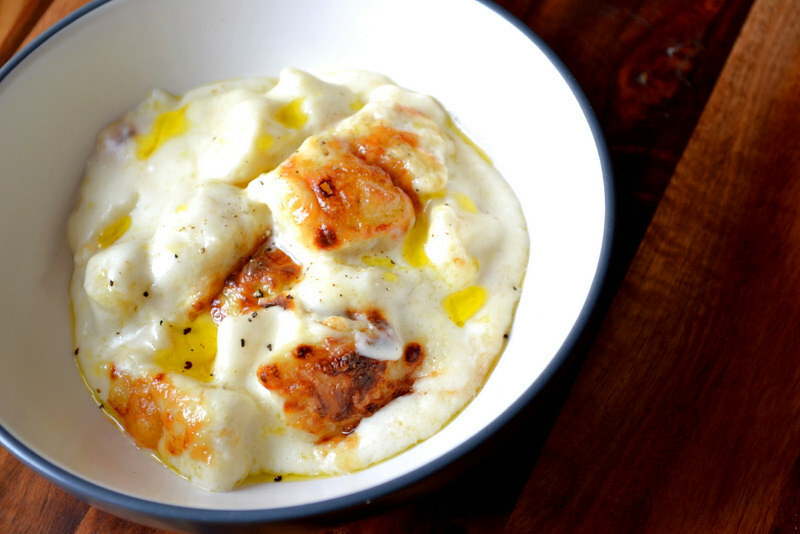 My recipe for Béchamel Gnocchi Bake must be one of the most satisfying of my collection. As you spoon it into your bowl, it almost demands that take just one more – you greedy thing. 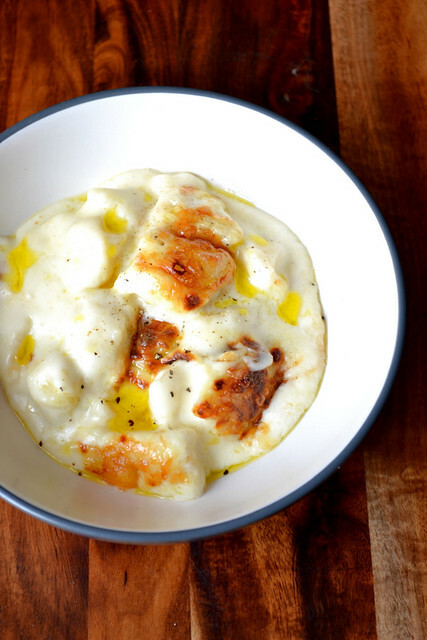 Though signifying a clash of cuisines – French and Italian – it seems that béchamel sauce and gnocchi were made for one another. 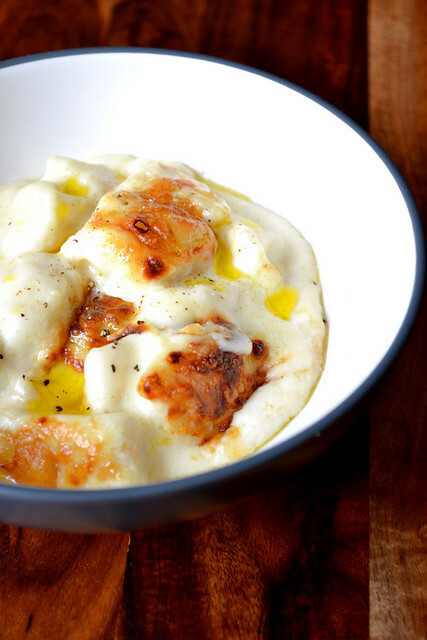 Béchamel gnocchi bake is a simple dish; maybe even one of the simplest. But the rich white sauce, combined with the flavoursome and pleasantly textured potato “pasta” makes for pure temptation. It’s a cathartic experience. As with my recipes for macaroni cheese and cauliflower cheese, the béchamel in this bake is infused with several layers of flavour. Though unadulterated béchamel is divine, infusing it with a few extras – bay leaves, cloves, peppercorns – takes things to the next level. Perhaps even the one after that. How you serve this bake is up to you. Personally? A bowl of this with nothing else is my idea of heaven. Spoonful after spoonful of creamy, comforting bliss. Though, while I’m not one to advocate the use of expensive meat, a few strips of rare rump steak would go down a treat. And maybe even a gulp or two of beer. But let’s not stray too far from the frugal track. Bring the milk, bay leaves, cloves, peppercorns and nutmeg to a simmer. Remove from the heat and set aside (lid on) to infuse for at least 15 minutes (1 hour is best). Meanwhile, bring a pan of salted water to the boil and cook your gnocchi. 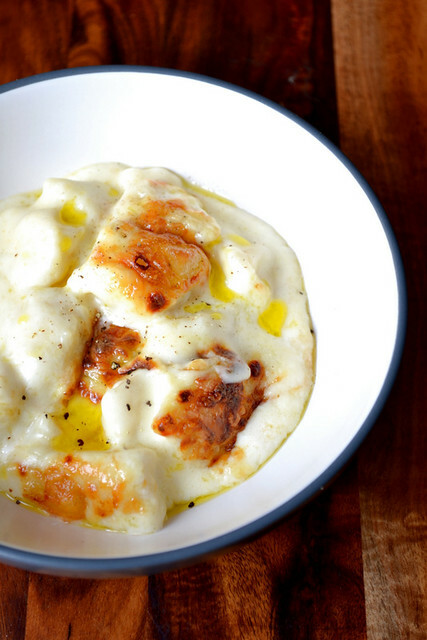 The gnocchi are ready when they float to the surface. Drain and set aside. Preheat the oven to 200C/180C(fan). Strain your infused milk. Melt the butter in a large pan and beat in the flour until you have a thick roux. Bit by bit whisk the strained milk into the roux. Bring to a simmer and add the mustard. Cook until thick enough to generously coat the back of a spoon. Transfer the gnocchi into a large casserole dish. Pour over the béchamel, ensuring everything is coated well. Cover with the grated cheese and bake until golden brown. Serve immediately with a drizzle of olive oil and a twist of black pepper. Cost: As we’ve seen, the batch of gnocchi used here shouldn’t set you back much more than £1. Add to that the remaining ingredients, and what you have is a hearty meal for under £2.50. I think “melty cheesy gold” is probably my favourite colour. This looks gorgeous. 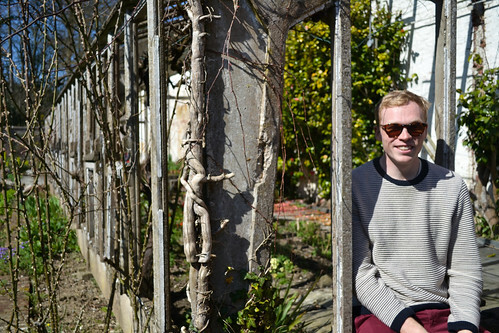 Really enjoy your food stories it’s not just the recipes the photos and story with them. One of the very few emails I enjoy receiving. Thanks! You must – it was a delight. Looks wonderful and reminds me of my Argentine grandmother’s wonderful cooking. Thank you! A compliment indeed – thanks! Simply scrumptious! A quick, delightful meal! Thank you – yes it is and so pleasing with the homemade gnocchi. Looks so good! I really enjoy trying out your recipes, Nick, and this looks like a must try. Thanks – I hope you give a few recipes a go! Thanks! It was really delicious – very creamy and full flavoured.